Visitors to the MAXI Plywood stand at the Design Build Expo 2016 came away convinced that plywood will continue to be a big part of architectural design even in the future. Plywood has come a long way from its modest beginnings as a cheap option to build packing cases. 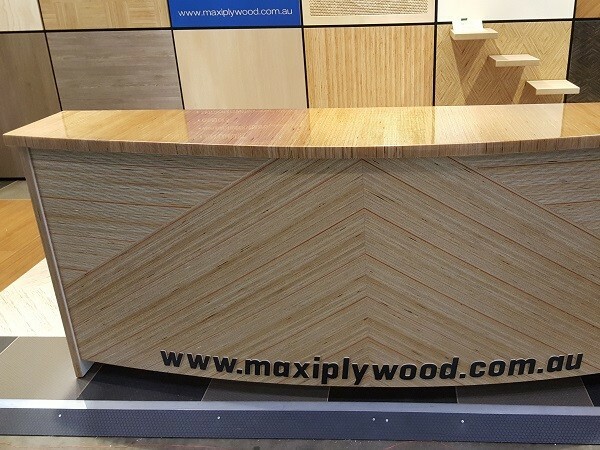 Going by the striking displays on the MAXI Plywood stand at the Expo, the amazing architectural design possibilities of plywood panels are only limited by the imagination. Among others, the MAXI Plywood display included clever, innovative and visually stunning CNC routed plywood panels and exciting MAXI Edge panel designs, all of which caught the eye and captured the imagination of architects, designers, specifiers and joinery craftsmen alike. The stand even featured a MAXI Birch panel on which an image of Einstein was created using CNC routed perforation holes. People continue to be fascinated with timber, the tactile warmth of wood having created a massive resurgence in popularity with contemporary architectural plywood designs. Plywood’s beautiful grain and exposed edge features are being promoted and highlighted in a myriad of exterior and interior projects. Architectural plywood is being used in various creative ways by up and coming designers and architects in the form of ceiling and wall panels in perforated designs, furniture with textured film surfaces as well as stairs, shop fitouts and flooring. New plywood designs, timbers and joinery craftsmanship have fired the creative imagination of modern designers and artisans. This versatile, decorative and simply elegant timber panel will continue to lead the way in design applications.